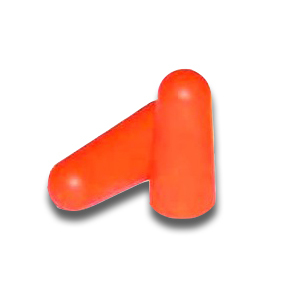 PRODUCT: Soft Foam Un-corded Ear Plugs, NRR 32dB. 1 Pair/Pack. 200 Packs/Box. Price/Box (200 pair). Non-allergenic (hypo-allergenic), soft, tapered conformal foam provides long term comfort. Smooth finish is dirt resistant for good hygene. NRR 32 bB : Very good hearing protection ! Convenient packaging for distribution Each pair of plugs is individually wrapped.